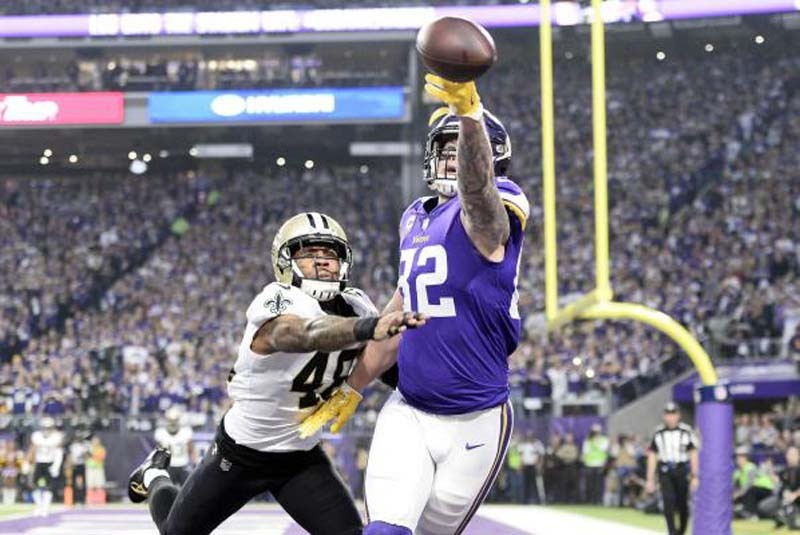 Minnesota Vikings veteran tight end Kyle Rudolph participated in drills during the team's organized team activities despite February ankle surgery. "He's worked real hard," Vikings head coach Mike Zimmer said of Rudolph's recovery via the St. Paul Pioneer Press. "It's good to see him out there this week." Rudolph, who appeared in all 16 games each of the past three seasons, will have a new quarterback in Kirk Cousins and new offensive coordinator John DeFilippo this season. "Being just a fan of the game, I've seen what he's done in the past," Rudolph said of DeFilippo via the St. Paul Pioneer Press. "What he was able to do in 2015 with [Browns tight end] Gary Barnidge, and then obviously last year. [Zach] Ertz had an unbelievable year." Ertz caught 74 passes for 824 yards for the Eagles and was named to the Pro Bowl. Rudolph caught 57 passes for 532 yards in 2017, despite playing the past few weeks on an injured ankle.